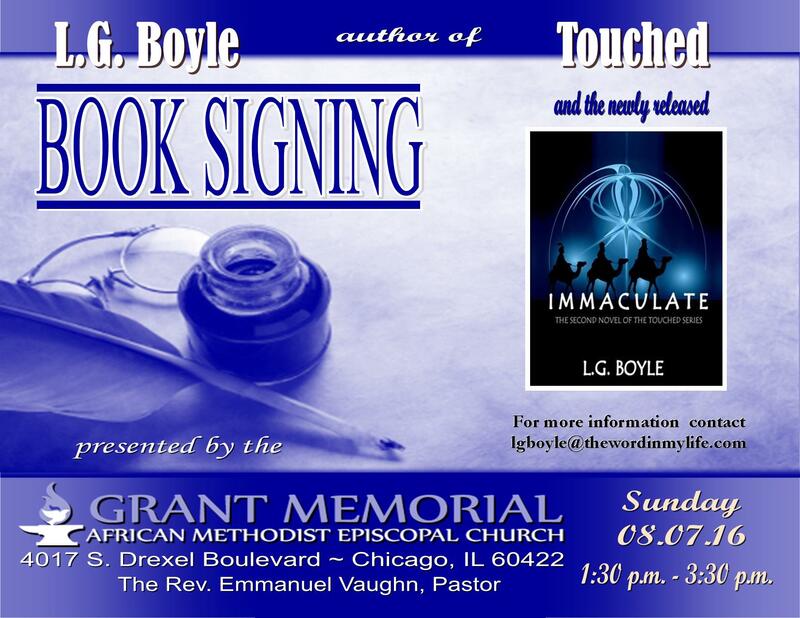 So excited for the upcoming book launch of Immaculate in paperback! It’s been a wonderful journey for me, as well as for Mal, Ari and Martha. Filled with perils on their side, it has been fraught with disappointments and delays on my side. But, at last, it is here! I hope to see you there – stay tuned for details on how you can download a free copy of the book that began the series, Touched. As always, I pray that you would be blessed in your every endeavor as you pursue the gifts our God has placed in you. Just to whet your appetite, I’ve included the prologue of Immaculate. Enjoy! … stood overlooking his kingdom. His lands stretched before him with his people working below. Some tended sheep and goats while prodding them with sharp sticks. Others kept their plots of vegetables, which were laid out in neat rows. Sulayman saw those who had dedicated their lives to service, ministering before the God of their fathers, day and night. There were those, also, who guarded the contents of their Temple and kept its holy relics and secrets. Precious items were held within that, should they be discovered, might bring joy to some and dismay to others. The news of their survival might even start a war over their possession. But he and his people were undoubtedly the heirs and protectors, a right bequeathed to him by his forefathers. Sulayman stood evidence to that link as he was named after the very king rumored to have entrusted these objects to Sulayman’s own ancestor for safekeeping. And, Sulayman displayed said king’s great gift, even as much, because people would travel from afar to have Sulayman weigh in on a matter. This was how he came to his present situation. He surveyed the scenes played out from his position on the hill outside his residence. Was he not king? Was it not his duty, religious or otherwise, to see this through? He was as conflicted as he was convicted. Surely, the revelation he’d just received (confirmed by a celestial occurrence that he, himself, had witnessed) would be occasion for great rejoicing if held true. The weight of it and what it could mean for him, for his subjects and their connection to the One True God’s own people, fell on him. Sulayman needed to verify the event for himself, with his own eyes. His heart quickened at the thought. Could it be true? At last? His consultation with an expert in the movement of the stars, a man whose opinion he truly respected, led Sulayman to hope, against hope, that it could be so. The mere thought made his heart ache to witness this great sight. That he could be fortunate enough to see the realization of this long anticipated event during his lifetime was unfathomable. Now available on Kindle and paperback on Amazon! e-book or order your hard copy online.